Sharon Hernes Silverman is a lifelong crafter, especially passionate about crochet and Tunisian crochet. 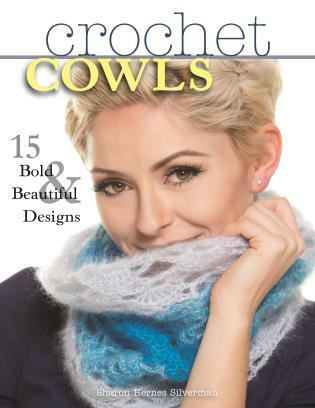 Known for fashionable, wearable designs and crystal-clear instructions, she has authored 15 books, including Tunisian Crochet (978-0-8117-0484-7), Crochet Scarves (978-0-8117-0081-8), Crochet Pillows (978-0-8117-0646-9), and Tunisian Crochet for Baby (978-0-8117-1287-3). Sharon’s designs have been published by top yarn companies including Plymouth Yarn and Louet North America, and she has been a featured guest on “Uncommon Threads,” HGTV’s fiber arts program. She is a professional member of the Crochet Guild of America (CGOA), a design member of The National NeedleArts Association (TNNA), and contributed the Tunisian Chevron Scarf pattern to Laura Zander’s Crochet Red: Crocheting for Women’s Heart Health. Sharon lives in West Chester, Pennsylvania.